Northern Ireland should be well placed to benefit from a more than 3% growth in the global economy this year, Danske Bank has said. The lender forecast growth of 3.1% for 2016 in its Big Picture report today. It predicted that economic expansion would pick up even further, reaching 3.5% next year. While Brexit was judged to be the biggest economic risk facing Northern Ireland, globally the main concern was uncertainty over the US Presidential election later this year. Danske chief economist Angela McGowan said the current growth was down to the fading of influences from 2015, such as the steep fall in oil prices and a downturn for the construction sector in China. 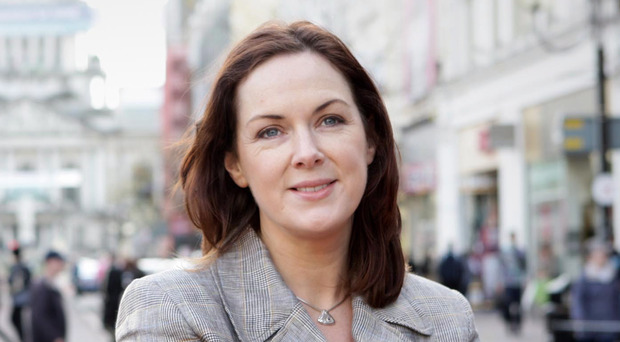 Ms McGowan added: “We have seen significant improvement in the wider economic climate since the turn of the year. “This is a good thing because it is widely recognised that a global recovery is very important for a small, open economy like Northern Ireland. The report said the US economy was approaching rude health as the shock of falling oil prices receded and consumer spending remained strong. But Brexit was also sending shivers down the spine of the US economy — despite growth of 1.9% forecast for this year, Danske Bank said. “Europe risks falling into technical recession if a Brexit materialises,” the bank added in its Big Picture report. Danske’s report also predicted growth in Europe of 1.6% during 2016 — but warned its forecast was based on a Remain vote in tomorrow’s referendum. Investment in the eurozone would strengthen, Danske said — while business sentiment would improve following the vote. And key economic indicators were moving in the right direction, Ms McGowan said.